5 Bedroom Detached House To Rent in Kidlington for £2,300 per Calendar Month. PREMIUM - Once a former farmhouse, this gorgeous Grade II listed home has been completely modernised and improved by the owners, beautifully restoring it into a stunning family home. A stylish and elegant bespoke kitchen/dining room with fitted appliances, a superb sitting room with exposed ceiling timbers and fireplace feature, a wonderful family room with lime stone floors, cloakroom, and upstairs the beautiful master bedroom with en-suite wet room, plus a further four well-proportioned bedrooms served by one family bathroom. This exclusive house benefits of under floor heating throughout, an integrated media system and also an integral hoovering system. Available unfurnished for longer or shorter tenancies. This elegant house is located on the edge of the historic village of Fencott, which sits between the larger villages of Murcott and Charlton-on-Otmoor. Murcott is surrounded by lovely countryside and includes the Otmoor Nature Reserve and an extensive network of footpaths and bridleways, The Nut Tree- a Michelin starred gastro pub, Anglican Church and Methodist Chapel and, at nearby Charlton-on-Otmoor, a village hall and primary school. The village is equidistant from Bicester and Kidlington, both offering a wide range of day-to-day shopping and leisure facilities. The village of Islip is found on the way to Oxford and offers a mainline rail station to London. The historic city of Oxford provides a more comprehensive selection of restaurants, shops, leisure and education facilities and excellent transport links via M40 and two mainline stations. The property is accessed via a gated driveway and has parking for several cars. There is an attractive landscaped garden to the front of the property with paving and box hedging. 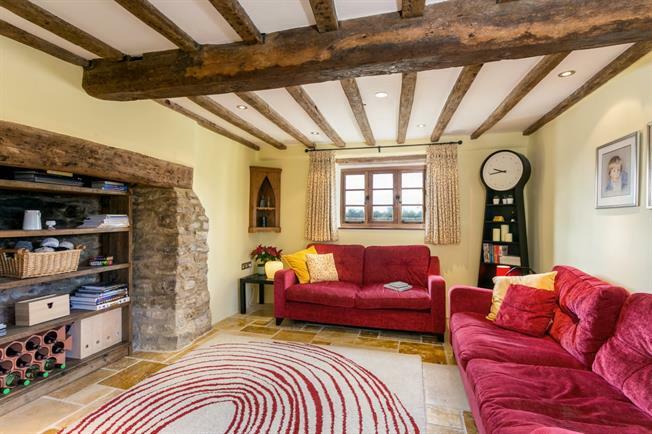 There is a detached stone built garage with room above, courtyard terrace, car port with an attractive stone wall 'Folly' and a series of raised vegetable beds.